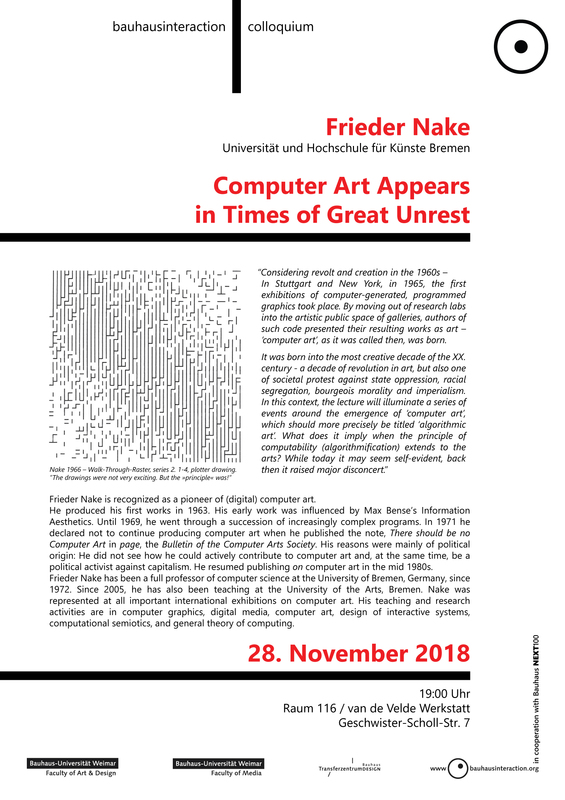 Frieder Nake is recognized as a pioneer of (digital) computer art. He produced his first works in 1963. His early work was influenced by Max Bense’s Information Aesthetics. Until 1969, he went through a succession of increasingly complex programs. In 1971 he declared not to continue producing computer art when he published the note, There should be no Computer Art in page, the Bulletin of the Computer Arts Society. 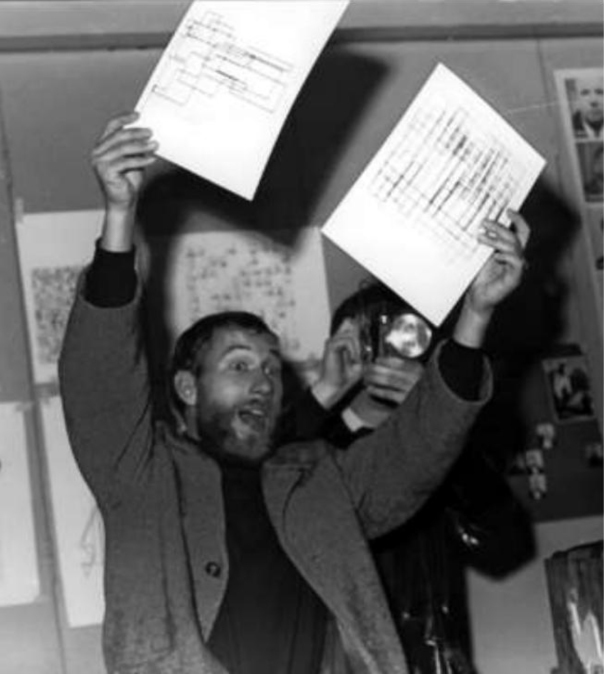 His reasons were mainly of political origin: He did not see how he could actively contribute to computer art and, at the same time, be a political activist against capitalism. He resumed publishing on computer art in the mid 1980s. Frieder Nake has been a full professor of computer science at the University of Bremen, Germany, since 1972. Since 2005, he has also been teaching at the University of the Arts, Bremen. Nake was represented at all important international exhibitions on computer art. His teaching and research activities are in computer graphics, digital media, computer art, design of interactive systems, computational semiotics, and general theory of computing. This entry was posted in Bauhausinteraction Colloquium, info, NEXT100, talks by Timm Burkhardt. Bookmark the permalink.